Being a family law specialist in the 21st Century is more than just giving legal advice. There is a wider sphere of responsibility we feel and we are always looking for where we can create additional value. For us, this means a lot of time spent creating useful resources which we offer free on our website. This ranges from blogs and articles often based on common questions, to videos walking people through the legal processes related to divorce. As a result of this, we also work with a range of related organisations to help people through a family break-up. So when Only Dads/Only Mums talked about our contributions to a book they were pulling together to support parents through separation, we were delighted. We have worked with Bob, at Only Dads, for a number of years on a number of projects, notably the Family Law Panel group, and the support he gives to parents is incredible. 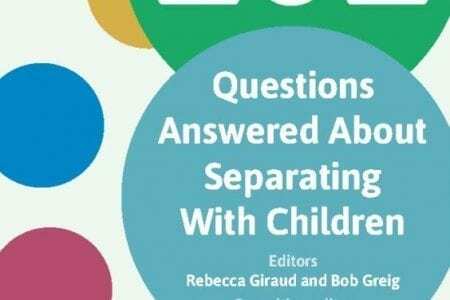 The concept of the book was simple: Separating with Children – 101 answers. Children should always be at the heart of any discussion round divorce with their well-being being paramount – as well as the right to have two parents contributing to their development. This is not always possible. The focus is often on the cases where parents are absent or negligent. However, so many split families do make things work, many of them with support from groups like Only Dads and Only Mums. So, we have contributed two articles for the book, which should hit shelves in January. The first is on ‘The Children Act Paradox’’, based on something Kathryn McTaggart wrote for Only Mums/Dads websites recently. It focuses on whether Family Court decisions are always in the best interests of the children, which is somewhat ironic. It emphasises that the best thing for all is for parents to reach an agreement without the involvement of the courts and lays out the reasons why. Kathryn, based in South Wales, has been named as a Leading Individual for Family Law in Wales in Legal 500 for the last five years. Legal 500 notes that Kathryn is a “star performer”, praised for her “pragmatic advice” and who “takes a no-nonsense approach but is also very empathetic and understanding of her clients' needs”. The second section takes a look at what grandparents should do if their grandchildren tell them worrying stories of neglect or abuse about their home life. It is a tricky topic but an important one, and something that family law solicitor Kimberley Bailey tackles with honesty while offering practical advice. Kimberley is a family law solicitor with Woolley & Co, based in Bristol. 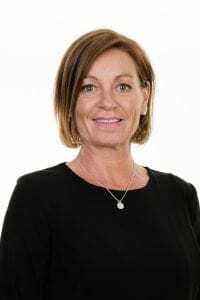 She has practised family law for over 15 years and brings a holistic and sympathetic approach to reaching solutions that focus on the needs of the whole family, especially the needs of any children involved. Kathryn and Kimberley’s involvement in the project perfectly illustrates the approach we like to pursue at Woolley & Co, adding value to all involved in the process, rather than simply being there to offer legal advice. The book itself will be out in mid-January. We’ll post details on how you can get your copy when it is published.